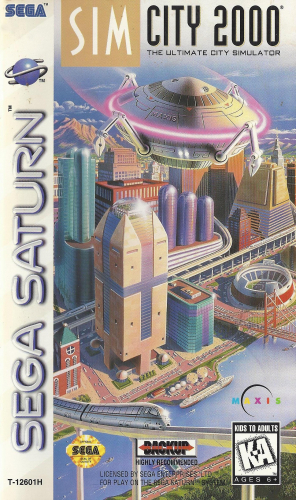 SIMCITY 2000 has made its way to the Sega Saturn. Take the role of the Mayor and try to turn a sleepy town into a thriving metropolis. Along the way you will have to deal with a large number of issues, like where and when to build schools, zoning issues, crime and fire abatement, tax rates, and construction of infrastructure. Now is you chance to see what real-world mayors and city councils deal with on a daily basis.